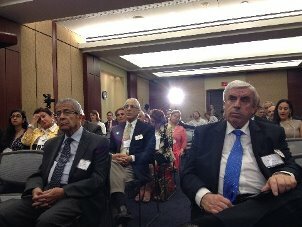 "No to Daesh no to Hezbollah"
During the Middle East Christian Conference at the US Congress this week, two Lebanese Diaspora leaders addressed the conference about Lebanon focusing on the rise of terror, on the lack of tru...e democracy and on the necessity of full implementation of UNSCR 1559. Sheikh Sami Khoury, President of the World Maronite Union and Joe Baini, President of the World Council of the Cedars Revolution (WCCR) condemned both the Jihadi threat including Daesh and al Nusra and the Iranian-sponsored terror embodied by Hezbollah and other armed factions. 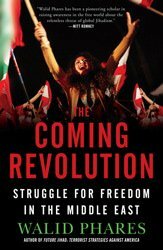 Baini said "the international community must help Lebanon get rid of all terror groups and give the people an opportunity to establish the system of their chosen." Photo: Baini and Khoury at the US Congress's policy conference.